Documents obtained by CTV News suggest that the Conservative government's plan to overhaul the Royal Canadian Navy with a multi-billion dollar procurement to replace frigates and destroyers may be in trouble. 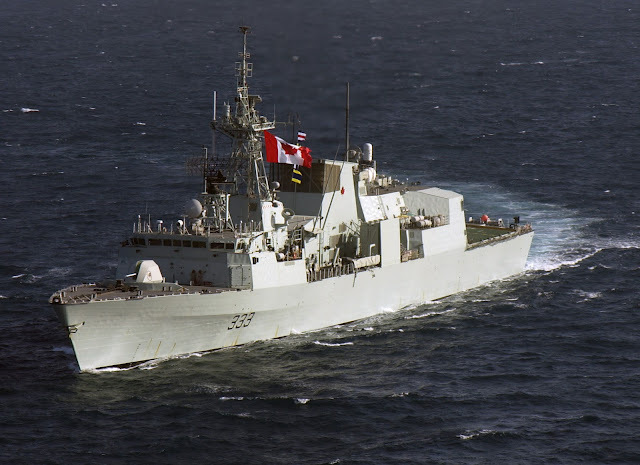 According to internal documents obtained by CTV News' Mercedes Stephenson, the "Canadian Surface Combatant" program is at "very high risk" of running over budget, behind schedule, lacking skilled manpower, and producing inadequate capabilities. The documents warn there is a risk the project, "may be unable to deliver the optimal number of ships with the capabilities necessary to meet operational requirements" and that may, in turn, lead to the navy's "inability to deliver operational effect and/or a failed procurement."